Prime acts as a marketing partner for JARI, providing the economic development non-profit with marketing and educational support. Since 2010, Prime has written and designed the JARI annual report. These reports include detailed articles about JARI’s broad scope of activities, including workforce development, government contracting, business financing and incentives, and more. Prime interviews various parties involved in each initiative, writes the articles, shoots original photography, and designs the report. 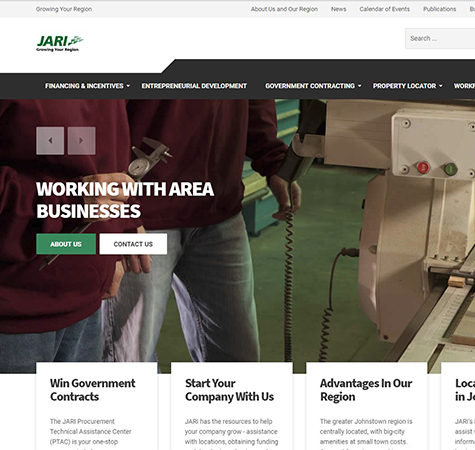 JARI needs a modern web presence that includes a portfolio section to showcase available properties for businesses potentially interested in opening or moving here. Prime developed a template website to maximize their budget while providing the functionalities they need. 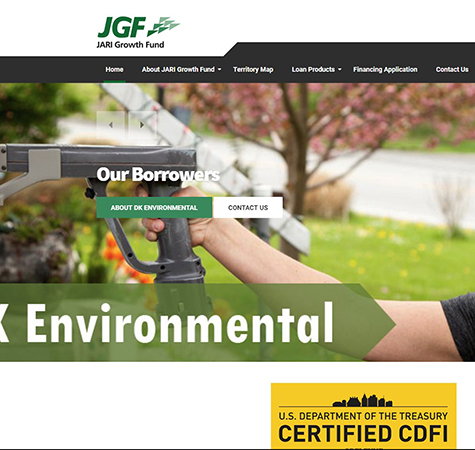 Prime also developed a separate template site for the JARI Growth Fund, a community development financial institution. Prime staff members regularly present for the JARI Lunch & Learn series, seminars targeted to entrepreneurs and businesspeople designed to help them succeed. Prime presents marketing seminars on a wide range of topics, which has to date included social media, email marketing, writing a marketing plan, writing an elevator pitch, business websites, and others.